My group of friends who introduce each other to beloved children’s books have finally chosen something that I already know and love! This is my third or fourth time through this book. We’ll be discussing it sometime this month. I love this story – and the other hobbit adventures – because it’s about the accidental hero, someone who doesn’t actually believe he’s up for these challenges and yet who continues to surprise himself with wisdom and courage and strength. Ha. I haven’t started it. I’m going to…I’m getting there. Glad to see your take-away though–makes me more excited. You are so speedy with the comments! 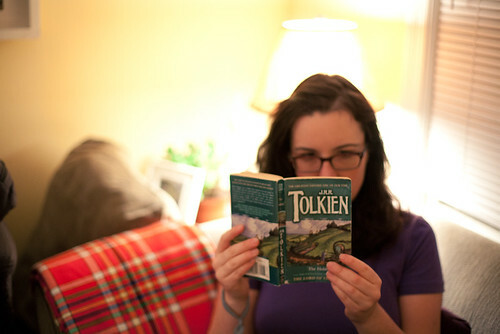 Now go read The Hobbit. You are going to LOVE Bilbo Baggins!